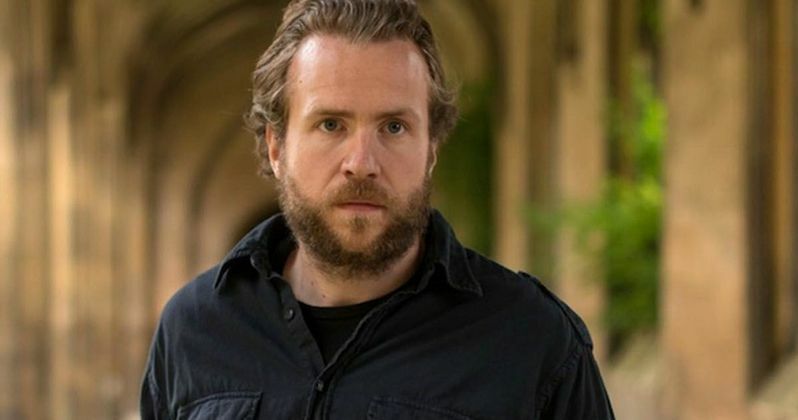 Rafe Spall is the latest to join the upcoming Men in Black spin-off. Sony is looking to reboot the franchise that originally starred Will Smith and Tommy Lee Jones as members of a secret agency who are tasked with handling alien affairs on Earth. In addition to Spall, the twin dancing duo of Laurent Nicolas Bourgeois and Larry Nicolas Bourgeois have also boarded the ensemble. The nature of their roles hasn't been disclosed just yet as the studio is keeping details under lock and key for now. The cast already includes Chris Hemsworth and Tessa Thompson in the lead roles who are reuniting after the success of Thor: Ragnarok last year. The Big Sick and Silicon Valley star Kumail Nanjiani also recently secured a role in Men in Black 4, with Liam Hemsworth also on board. Liam Neeson is said to be in talks for the movie but his casting has yet to be confirmed. There's also no word just yet on whether or not we'll be seeing any characters from the original trilogy popping up in some capacity. This marks another major blockbuster for Rafe Spall, who most recently starred as the villain in Jurassic World: Fallen Kingdom, which is currently dominating at the global box office. His other credits include Netflix's The Ritual, Steven Spielberg's The BFG and the sci-fi series Black Mirror. As for Laurent Nicolas Bourgeois and Larry Nicolas Bourgeois, they got their start with impressive street dancing videos on YouTube and eventually scored roles in Cirque du Soleil's Michael Jackson: The Immortal World Tour. They were also featured on Beyonce's Mrs. Carter Show World Tour and Beyonce and Jay-Z's joint On The Run Tour. This spin-off/reboot takes the place of the potential 21 Jump Street and Men in Black crossover that was on the table for some time. The movie was tentatively titled MIB 23 and seemingly got close to happening, but ultimately the studio decided to head in a far less risky direction. While the idea of a crossover such as that seems like it could be pretty interesting and different, it's also not difficult to see why Sony would decide to go with something like this instead. Though, if this movie does well maybe they will circle back to the idea at a later time. F. Gary Gray, director of The Fate of The Furious and The Italian Job, has been tapped to helm the new Men in Black movie for Sony. The script comes from Matt Holloway and Art Marcum, best known for their work on Iron Man. Filming is expected to begin next month in London, England, with a release date set for June 14, 2019, positioning it as a potentially big summer blockbuster. The original trilogy of Men in Black movies made a combined $1.65 billion at the worldwide box office. This news comes to us courtesy of The Hollywood Reporter.